Eww, you say, and (by today's standards) you'd be right. But there was a time, boys and girls, when there were no stores selling burger patties or T-bone steaks. Beaver tails were a delicacy. 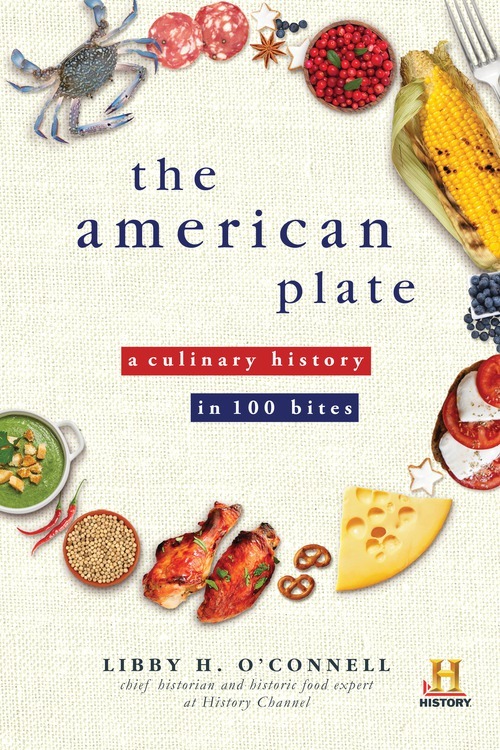 The author of this volume, Libby H. O'Connell, is the chief historian at the History Channel and knows whereof she writes.The book is full of treats, fads, trends and recipes. They're all here: Pizza, TV dinners, mesclun greens, sushi. If you ever wonder how Wonder Bread became a cultural symbol of conservative America, the story is here: affordable, readily available, predictable. Mass-produced and tasteless, of course, but that was part of the deal. Hostess owned the brand but went broke when eating habits changed and Twinkies became radioactive. But Flowers Foods bought the brand out of bankruptcy and is again selling the product, mostly to consumers of nostalgia. The ultimate icon of American consumption, Coca-Cola, was concocted by a pharmacist in Atlanta, Dr. John S. Pemberton, using cola nuts and coca leaves; almost as important as the recipe was the patented calligraphy. Originally, like root beer, Dr. Pepper, his invention was sold as a patent medicine. Pemberton died of an opium overdose in 1903; so much for Coke's health-giving properties. Next came Mason jars, which allowed home makers to preserve fruits and vegetables for year-round consumption. Oreos? They grew out of the women's movement. Prepared foods gave women the time to work outside the home, and Nabisco was more than happy to provide a range of packaged cookies. Go ahead, be picky. The book came out in 2014, so why am I only writing about it now? Well, for one thing, it's a relic. Imagine a world where no one ate Tide Pods. Just try to imagine. This page contains a single entry by Cornichon published on March 2, 2018 11:00 AM. Not Much Ado as Shakespeare meets Berlioz at Seattle Opera was the previous entry in this blog. Anne Frank in Amsterdam, in Seattle is the next entry in this blog.